Many people who want to start their own business but don’t want to go through the process of starting one from scratch can franchise a business. Business franchises are offered by many companies with well-known brands from restaurants, fast-food, clothing stores, and other types of establishments and businesses. 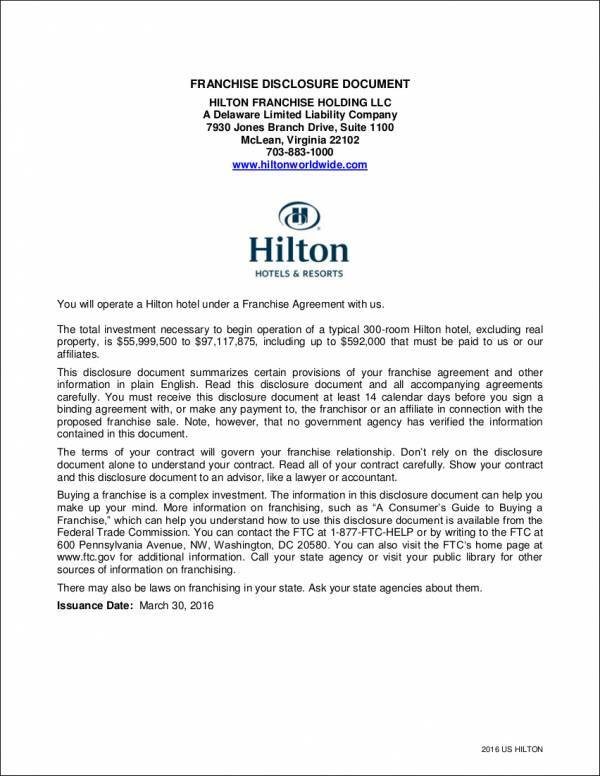 For both a franchisor and a franchisee, one important document that is necessary when going into a franchise is a franchise agreement. 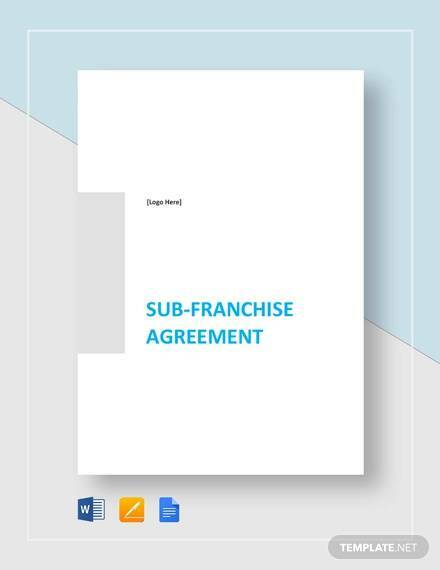 A franchise agreement is a legal document or contract that defines the rights as well as the obligations of both the franchisor and the franchise application. 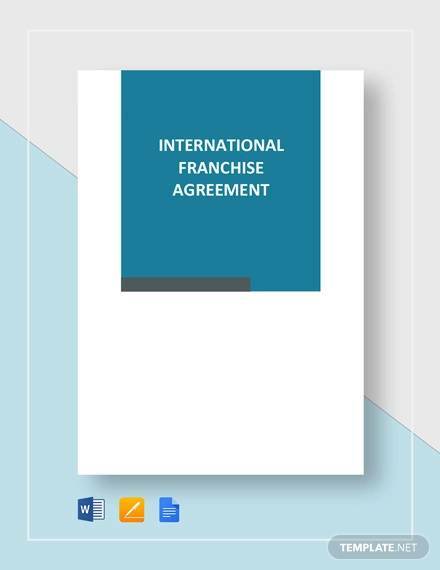 Additionally, a franchise agreement serves as a proof that the franchisor has granted the franchisee the rights to use the business’s brand and processes, as well as to distribute their products, goods, and services. 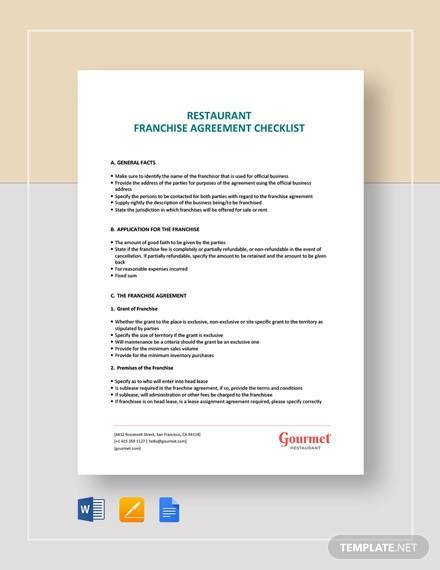 Are you looking for templates and samples of franchise agreements? 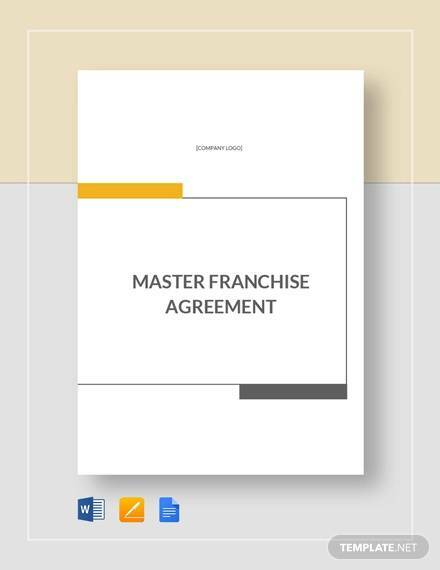 Aside from the guides that we will be presenting in this article, we also have various franchise agreement samples that are available for download below. 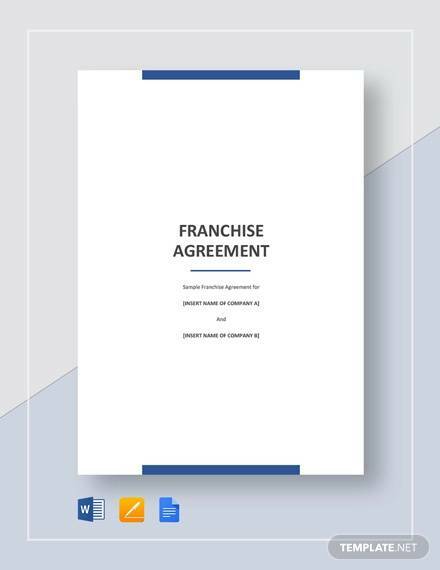 A franchise agreement is a complex document, which is why it is important for both parties to ensure that all the important components are present in the document. A summary of the relationship between the franchisor and the franchisee. A franchise agreement should clearly indicate the names of both parties involved in the transaction, the ownership of the property that a franchisee will use, and other information. 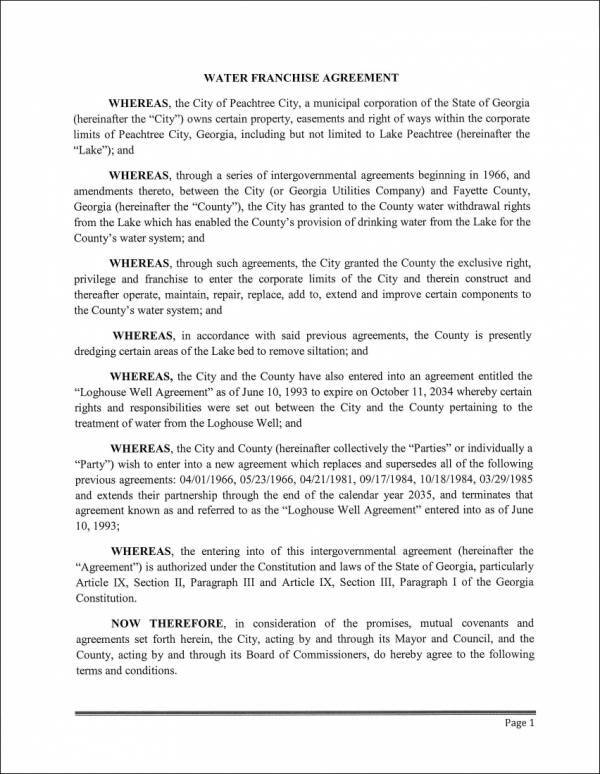 The duration of the agreement. The time period of the validity of the agreement should be stated in the agreement or contract. Royalties and fees. A franchisee is usually required to pay an initial fee, as well as other fees throughout the duration of the business relationship. These fees should be laid out in the written agreement. 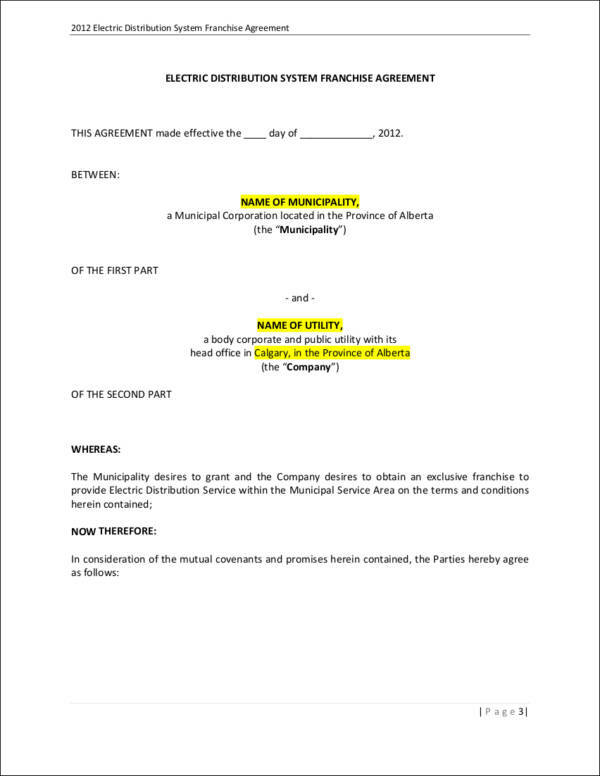 You can also see commercial agreement formats. The area of territory. Every franchisee is assigned a specific location where the franchise will be operated. A franchise agreement should clearly specify where a particular franchise should operate, including whether a franchisee has territorial protection from other competitors in a certain area. The terms and conditions of the agreement. As with any contract or agreement, the terms and conditions are an important aspect of the document since it clearly states the rights and the responsibilities of the two parties to ensure that any disagreements are prevented. The signatures of both parties. Aside from the terms and conditions, the signatures of both the franchisor and the franchisee should be present and clear in the document since this will indicate that both parties have clearly understood the contents of business agreement and they agree to it. 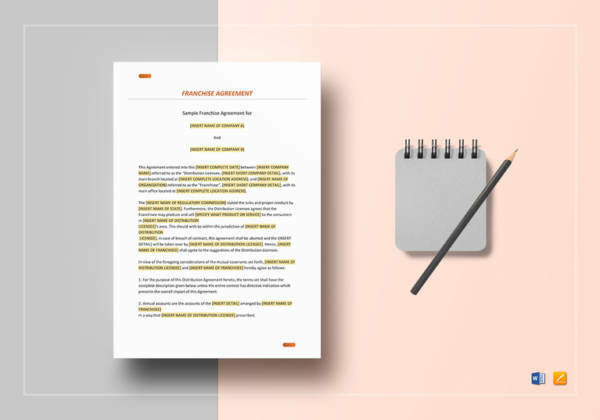 Knowing all the essential elements that need to be present in an effective and highly usable franchise agreement will help you create your own document. Through a well-crafted franchise agreement, you can ensure that both the franchisor and the franchisee are protected. Download the samples and templates above so you can properly outline your agreement. Aside from the samples available here, our other downloadable samples such as a rental agreement, lease agreement, and so on are available on our website.